Sometimes, your sword or shield arm just needs that extra bit of defense. 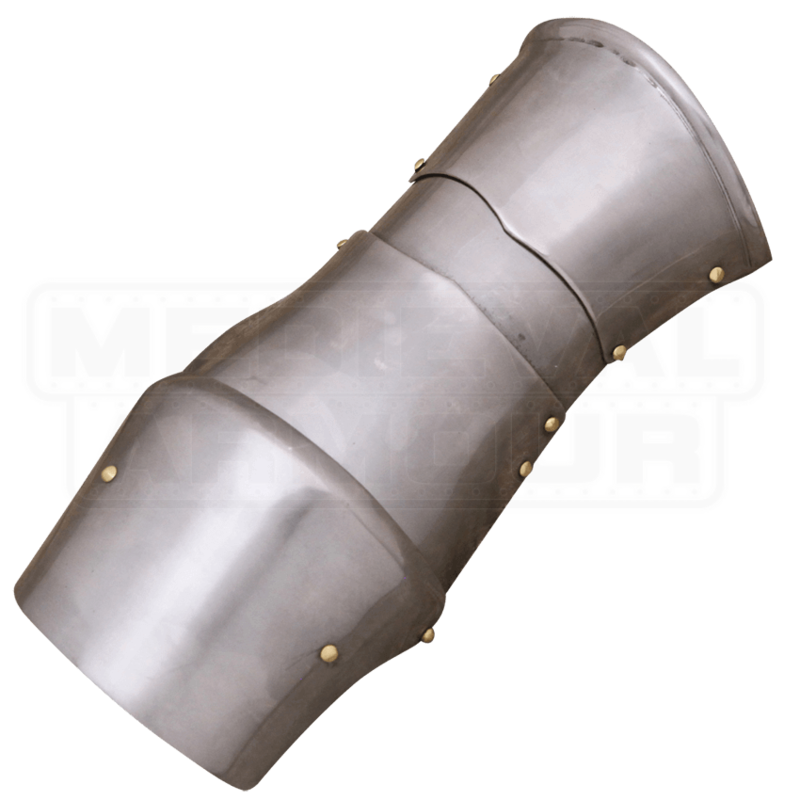 This Knights Steel Manifer is a perfect piece of armor to own when you just need the one piece of protection for the one arm, while keeping your other hand free for use. Traditionally, the manifer was worn on the left hand, and was favored by knights on horseback as the hand that held the reigns of their warhorse. In this model, though, it is fairly universal in design, in that it can easily fit the left or the right hand, to suit the wearers need. This manifer is made entirely from 18 gauge mild steel and features a slight hinged joint at the wrist to help offer a bit of mobility, while its solid plate design ensures that, left or right, the arm that wears this protection is sure to be safe in combat. The manifer and its overall design are further accented by a touch of decoration, in the form of brass rivets set along its edges. The manifer is sold as a single piece. The 18 gauge construction makes it perfect for costume wear, as well as for use in light reenactment, stage productions, and of course, LARP events and battle. It is an authentic piece of protection for any knight to wear, and more than that, this Knights Steel Manifer is also a good piece of protection that any warrior could likely benefit from, too.